Yisrael Beytenu Chairman, MK Avigdor Liberman, turned on Tuesday to Attorney General Yehuda Weinstein, demanding that he annul the plea bargain signed between the State and MK Hanin Zoabi of the Arab Joint List. Liberman demanded that instead of the plea bargain, Zoabi should be indicted for incitement to violence, incitement to racism and making threats. The MK proclaimed that if the plea bargain is not annulled, he will consider directing his demands to the High Court. “Just today, we saw yet again how Zoabi incites against the security forces, when she told Palestinian Authority media that ‘We need to prosecute whomever shot Nashat Milhem,’ referring to the elimination of the Tel-Aviv terrorist by security forces. “Zoabi’s statements are the direct continuation of her prior comments against police officers at Nazareth’s courthouse - the reason the plea bargain was signed in the first place,” Liberman emphasized. “The message that the State is giving to all citizens, and to Arab citizens in particular, is that the State is afraid of exacting justice against those who threaten its sovereignty, do not recognize its institutions and laws, and threaten its representatives, who are only doing their jobs. 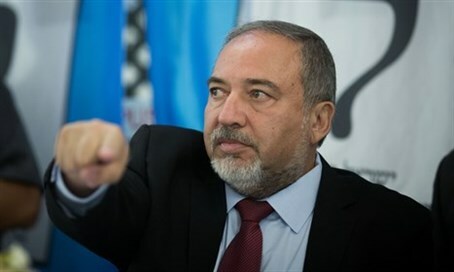 This decision provides concrete support for the most extreme groups and weakens the citizens who are faithful to the State and abide by its laws,” Liberman added.